Apologies for being a little MIA this week. Last week, spring break, was supposed to be my week to catch up on life and even start some fun new sewing projects. But, unfortunately, I had to spend most of the week (and this week) writing a conference paper. This paper is one of those that is just slightly far enough from my particular field that it requires a lot of extra work to ensure I know what I am talking about. Despite not being able to sew, I have been able to design some fabrics! As much I am enjoying learning to sew, I am really loving the ability to design and create my own fabrics. It's great because you can create exactly what your wardrobe is missing or the perfect piece you can envision, but never find. You can also make affordable prints inspired by your favorite expensive designers (you probably remember this Kate Spade-esque floral pattern I created). I use Spoonflower to print my creations. I love their linen-cotton canvas and cotton spandex jersey. 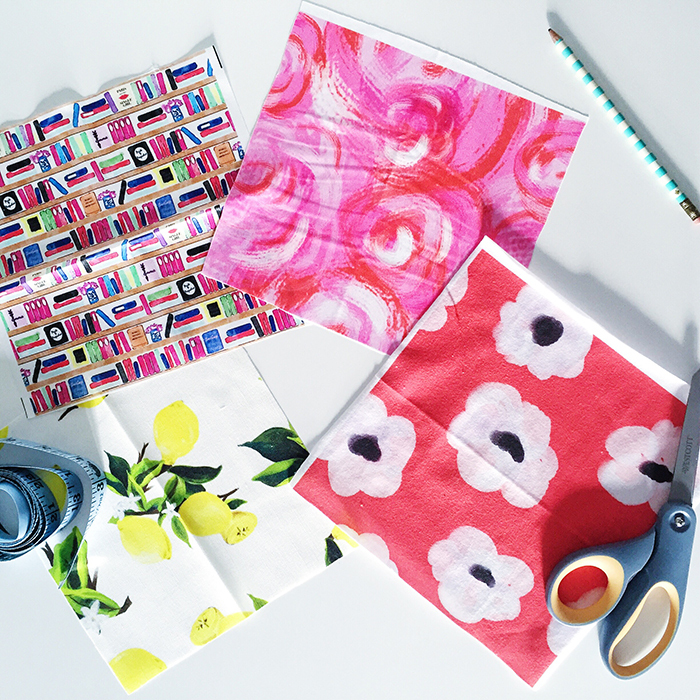 If you are feeling inspired to create your own prints and patterns, here is a great lesson on how to make a pattern seamless or repeating (which is key when printing yards of fabric). I use this Wacom tablet and these brushes. I think I have taken to creating prints because it's quicker than actually sewing a skirt or dress lol. But I am excited to get to work (hopefully this weekend) on a dress using my coral poppy fabric. You can see all of my fabric creations here.